Stunning, Quality, Responsive Websites, Competitive Prices! Based in the Provence of Charente Maritime, France. 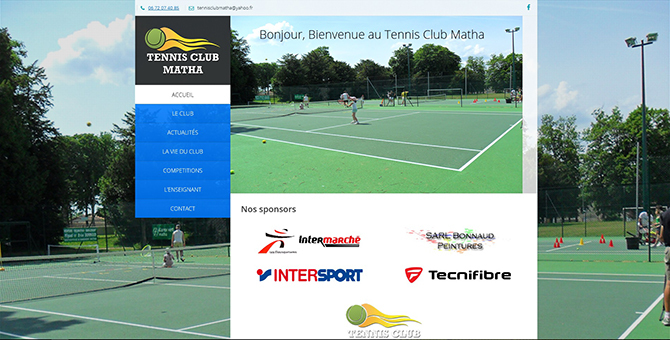 The town of Matha has a proud tradition of tennis and sports in general. They decided to contact us about developing a website and an “Online Home” where people can find out all the latest news, results and special events. It was a great challenge to design and develop this website in a another language. We are very grateful for this opportunity.